Remember my bus escapades from last semester? The fun never stops. The other morning I was taking the 9:00 am bus to school. (Note: OMG! This is a special treat, because usually I take the 7 am bus, where we ride in the dark for most of the way.) 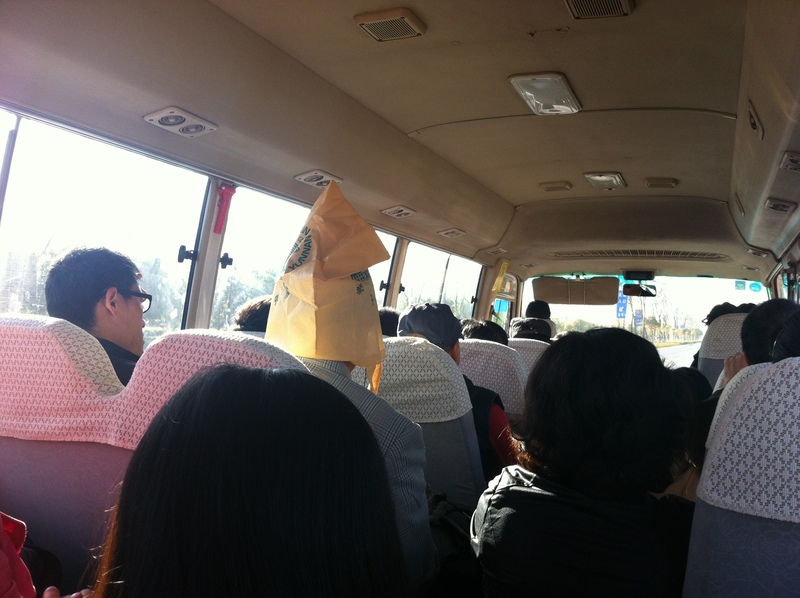 This particular bus had no grimy blue curtains to block the rapidly rising sun, which one professor found very annoying. Solution? Stick a reusable bag on your head. Voila- instant sunhat. He rode like this for about 45 minutes. Another fun fact is that many women, afraid of their skin getting darker from the sun literally hold a collapsed umbrella up next to their face for the duration of the ride. It’s not open, just there to put something between pretty white faces from the sun’s harmful rays. 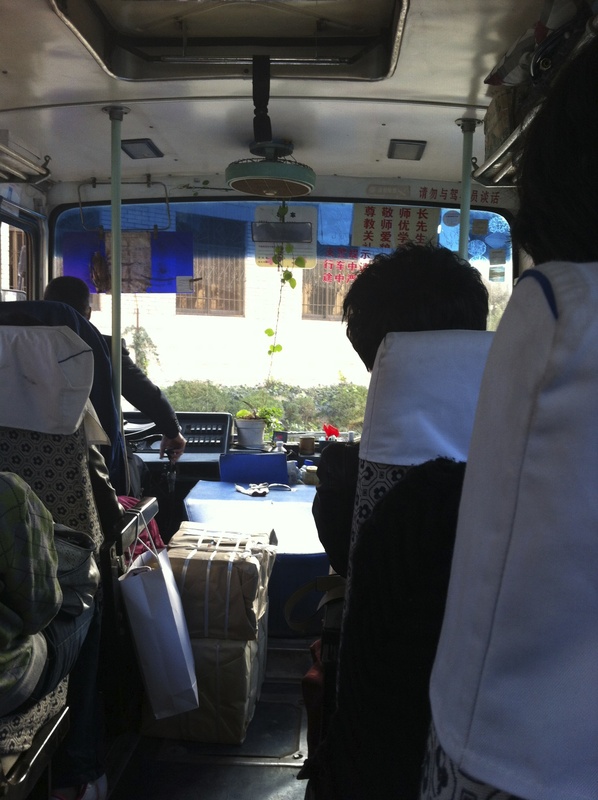 On another bus, the driver has a cute little plant on the dashboard (?) that has grown long enough for him to hook up against his rearview mirror (that I don’t think he ever uses). With the way that many drivers drive, I don’t know how a little pot stays put!